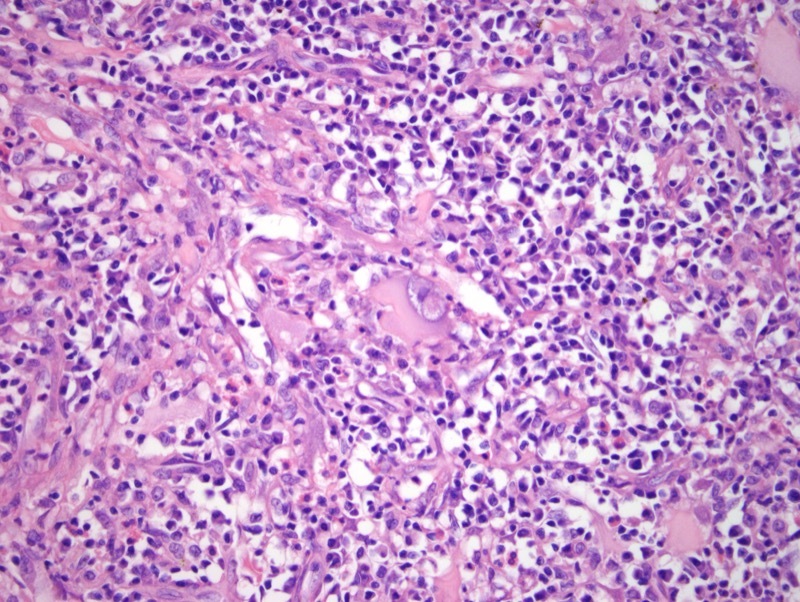 The findings are those of a very unusual histiocytoid proliferation with bizarre large multinucleated cells of which many exhibit emperipolesis in a characteristic highly inflammatory background composed of lymphocytes and plasma cells in a variable sclerotic and somewhat myxomatous matrix. 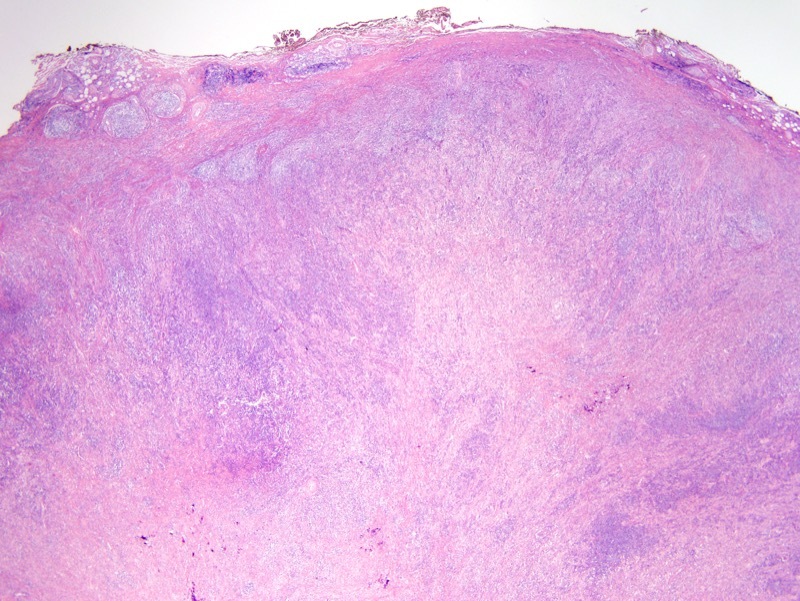 Overall the combined light microscopic and phenotypic profile would be most compatible with the categorization of this lesion as a very rare form of sarcoma namely the myxoinflammatory fibroblastic sarcoma. 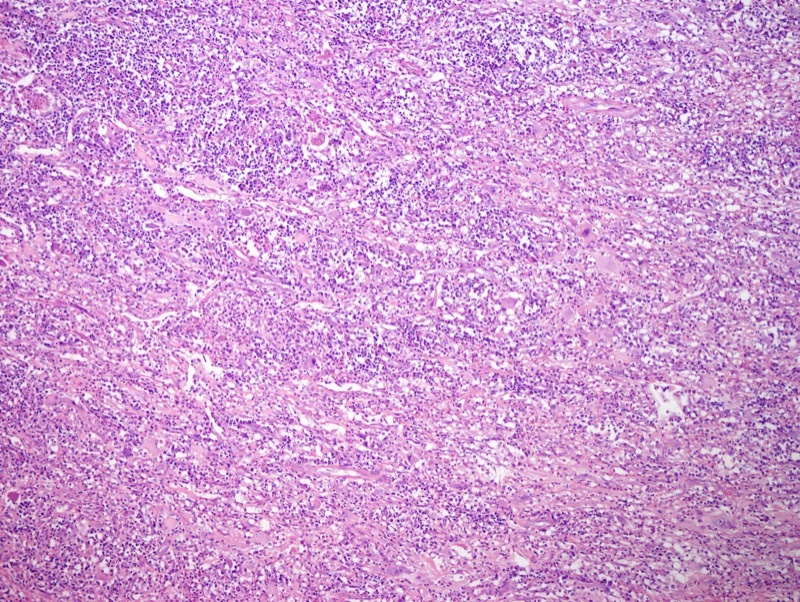 These lesions do have a highly characteristic cytogenetic signature characterized by rearrangement of the TGF-beta-R3 and MGEA-5 genes. 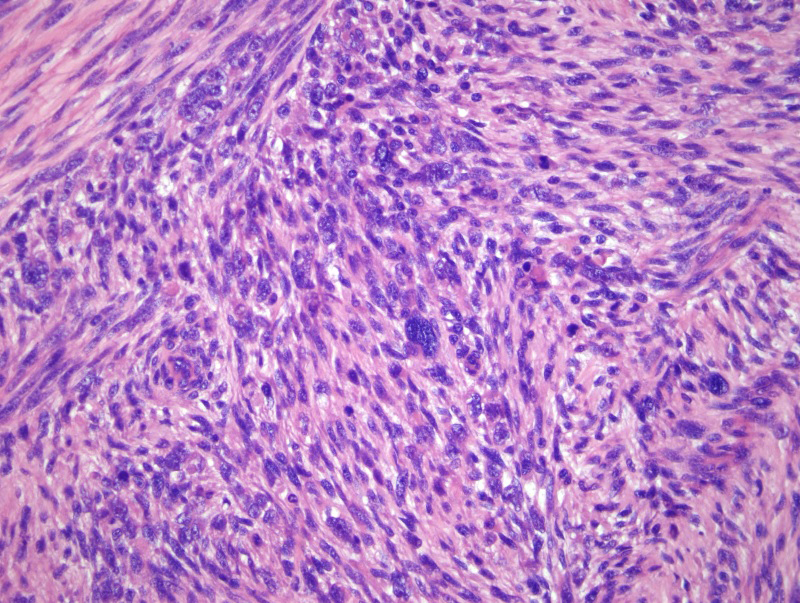 There is a significant degree of overlap with two other entities namely the pleomorphic hyalinizing angiectatic tumor and the hemosiderotic fibrolipomatous tumor. 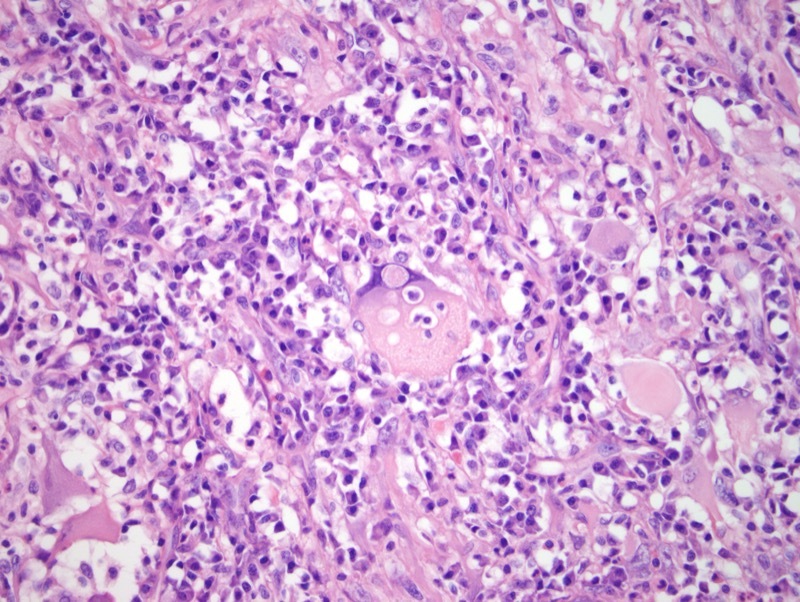 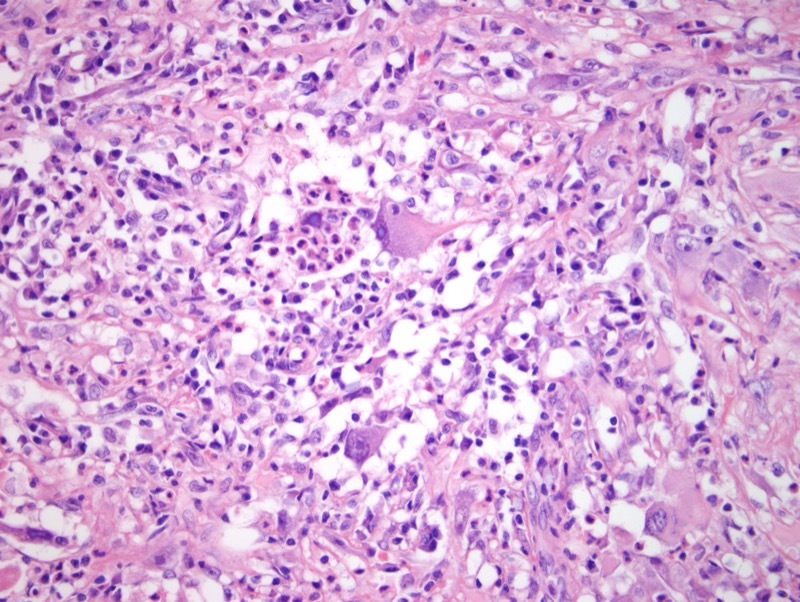 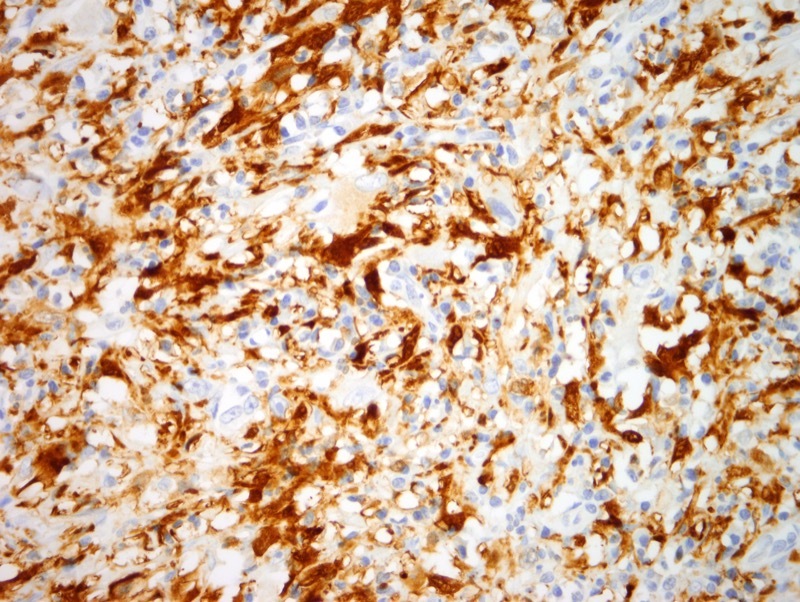 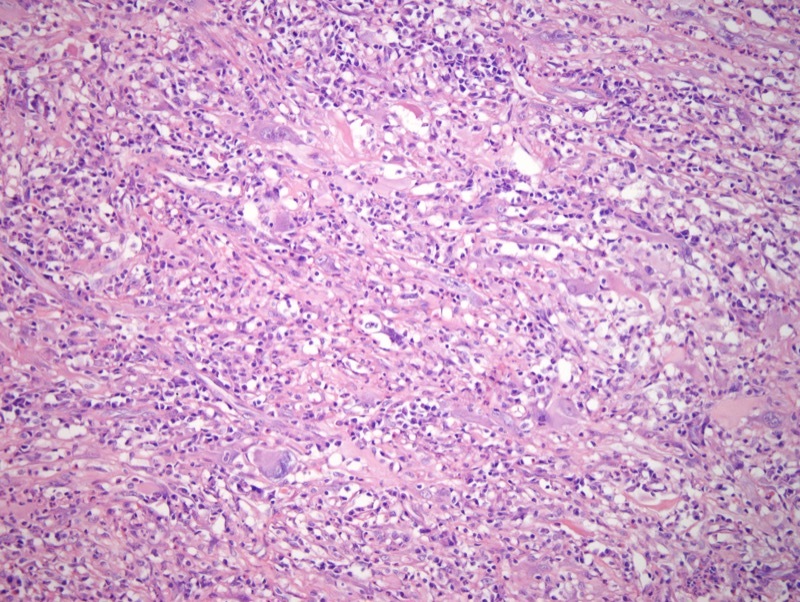 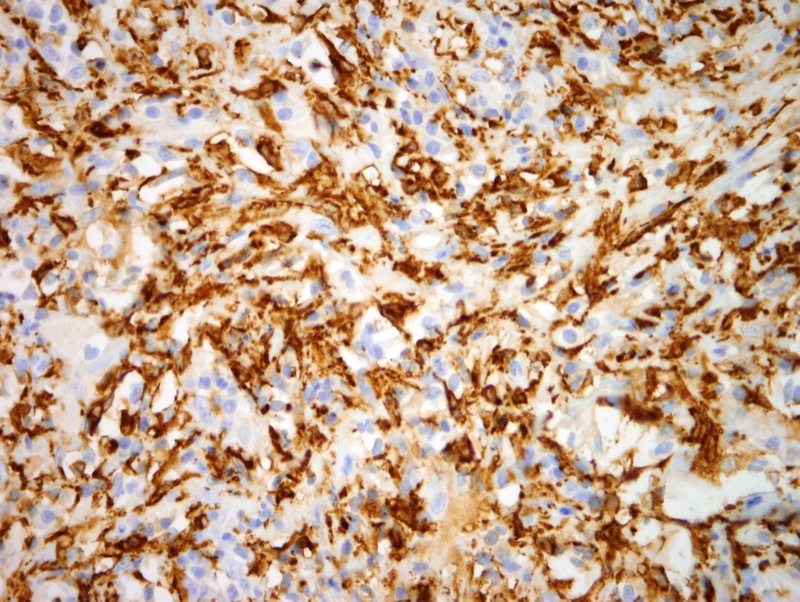 Interestingly the cytogenetic pattern in this neoplasm is similar to the hemosiderotic fibrolipomatous tumor while the pleomorphic hyalinizing angiectatic tumor does appear to be cytogenetically distinct to indicate that it is an entity that is quite separate from the myxoinflammatory fibroblastic sarcoma. 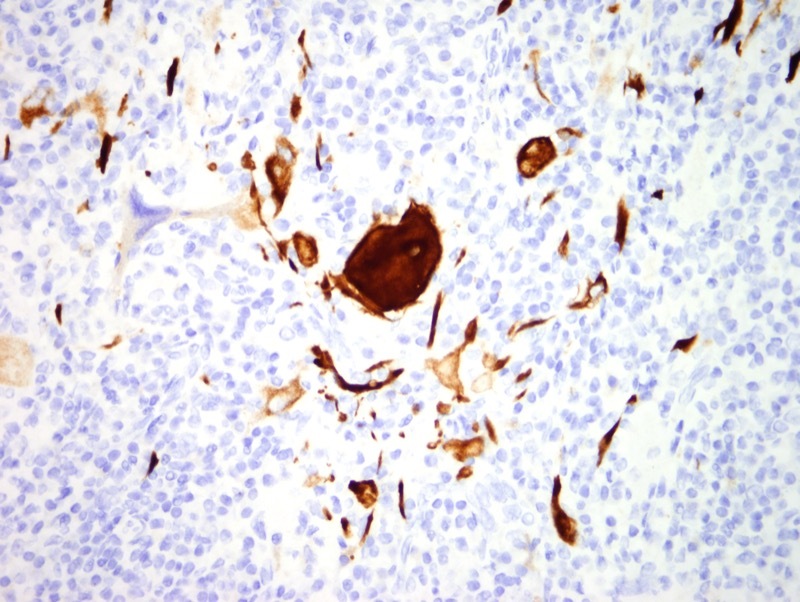 This entity was first described by Sharon Weiss and coworkers under the appellation of myxohyaline tumor of the distal extremities with atypical virocyte/Reed-Sternberg-like cells.